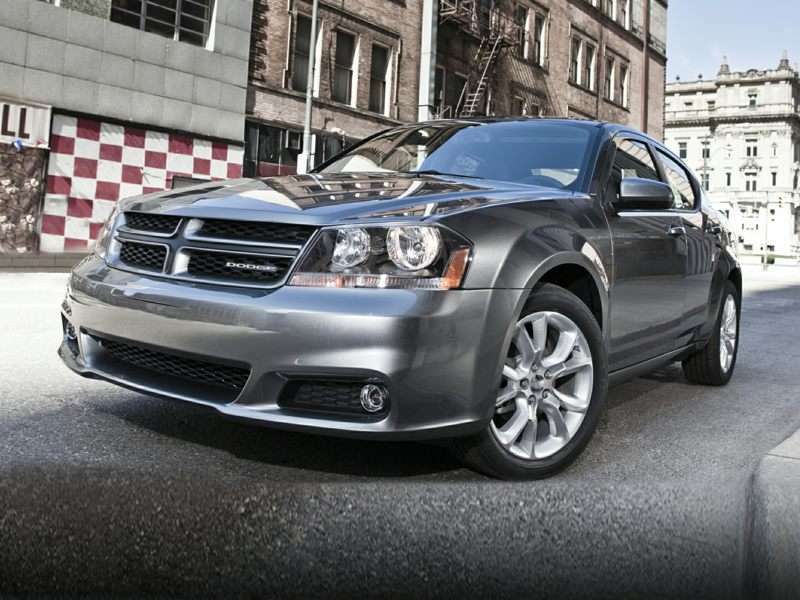 The 2014 Dodge Avenger is a 4-door, 5-seat Sedan, available in 3 trims, ranging from the SE to the R/T. Upon introduction, the $20,595 SE is equipped with a standard 2.4L, 4-cylinder, engine that achieves 21-mpg in the city and 30-mpg on the highway. an Automatic transmission is standard. The $25,795 R/T is equipped with a standard 3.6L, 6-cylinder, engine that achieves 19-mpg in the city and 29-mpg on the highway. an Automatic transmission is standard. Following a long history positioned as a mainstream brand providing cars, trucks, SUVs, and minivans to American consumers, Dodge is in the midst of a transformation. Or a wind-down, depending on whom you ask. Take a look at the Dodge pictures in the Autobytel archive, and it is easy to see the changes that are taking place. If you’re looking for recent Dodge photos of the pickup trucks and commercial vehicles, you’ll want the RAM photo galleries. And while the newest Viper sports car remains listed with the Dodge images on our website, parent company Chrysler Group LLC has officially branded the latest version of the Viper as a Street and Racing Technology (SRT) model. Rumors are swirling that the Grand Caravan minivan is nearing the end of a run spanning more than three decades, that a Chrysler Cuda model is in the works, and that Dodge might also lose the big Durango SUV when a new 7-passenger, 3-row Jeep model arrives. Dodge has also announced a delay in a replacement for the aging Avenger family sedan. If such changes come to pass, Dodge will be left with five models, the newest one being the Alfa Romeo-based Dart compact sedan. Chrysler Group LLC has insisted that Dodge is here to stay, but as key models are peeled off and as industry forecasters offer few predictions about the future of the Avenger, Challenger, Charger, and Journey, it is easy to understand why some people believe that models wearing the Dodge brand represent an endangered species.